Ever since modern TVs started becoming thinner and thinner, demand for better audio just kept rising. One of the solutions that soon became the norm are the soundbars. This type of speakers was created exclusively for TVs and home theater systems. With so many different models available on the market, finding the right one for your needs can be pretty overwhelming. Because of that, we have put together a comprehensive guide where we narrowed down the top 8 best soundbars on the market. Our picks include anything from entry-level models to high-end systems. With that said, our goal was to show you soundbars that are proven to deliver great audio no matter what segment of the market they belong to. Let’s go over our top picks and then we will get deeper into soundbars in general. Although a lack of satellite peripherals may deter potential buyers who are looking to establish a full, immersive home audio set up, the sheer quality of the output which both the soundbar and included subwoofer are capable of render this a non issue for the most part. In particular, the bass response makes this model a real winner across the board. 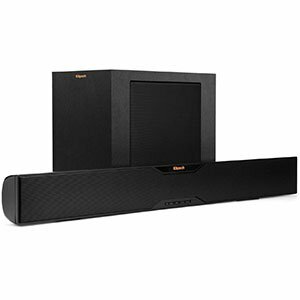 A clean, low-profile soundbar that features multi-directional speaker configuration and a powerful subwoofer. LG went with function over form, although the latter isn’t lacking at all. This system brings an abundance of power, a very good balance across the frequency range, and all the right features. Because of that, it’s the value choice for higher end segment. The stunningly simple, geometric design is a real triumph of both aesthetic enjoyment and functional versatility and means that the SJ9 is a model which will work well in just about any environment you could possibly conceive of. This flexibility combined with its powerful soundstage make it a device that is well worth considering if you are looking to get into the home audio scene. Whilst some buyers may be put off by what appears to be a more complex set up process as a result of the myriad of peripherals on offer, we can assure you that Nakamchi does a great job of guiding you through the process which itself is actually a lot quicker and simpler than you might expect. All in all, the plethora of included speakers make for a hugely immersive experience. Despite our dislike for the fact that you don’t get much visual feedback on the controls themselves, this model actually has a good deal of usability and is more or less intuitive once you know what you’re doing. It’s also a great looking device which is well differentiated from the competition by its curved front and glossy plastic finish. A bold entry, and a good choice. Impressive performance across the range. Klipsch is trying to give us a product that combines the best from two worlds. High-end components packed in a budget priced soundbar. The only thing you need to consider is the size of the subwoofer. If performance is your thing, the R-10B may as well be your soundbar. Despite our minor complaint about the sheer size of the subwoofer which is bulky and large in every dimension, it does do a fantastic job of delivering a solid listening experience in the lows which is often difficult to come by in the soundbar market. As long as you can find somewhere suitable to place it, you won’t have an issue and will reap the audio benefits. All in all, a fantastic choice. Great response across the range. Definitive value for the money choice. CT290 represents Sony’s attempt to bring a complete package to the entry-level segment of the market. 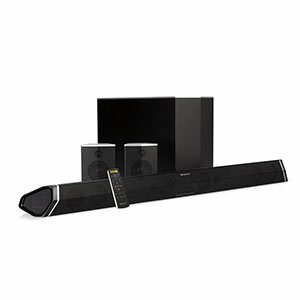 This system comes complete with a very clean lookingsoundbar as well as a subwoofer unit. Even though it is a 2.1 setup, 300 Watts of power mean that you will get a healthy amount of volume on demand. The bulk of the system is quite likely to put some people off as it can mean that the CT290 is difficult to fit into a pre-existing setup or even just to slot it into whichever furniture you keep your TV on. For this reason, wall mounting is the better option and will ensure that you maintain the flexibility and space required to enjoy this device to the fullest. Not the best quality control out there. The budget segment is more or less dominated by VIZIO’s SB3820-C6. 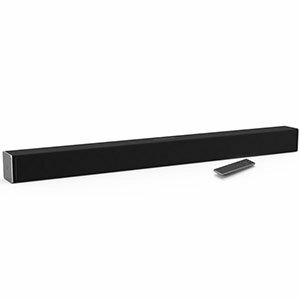 It is a standard, boxy soundbar but it packs the type of performance that is rarely seen in this price range. You get Dolby Digital, DTS TruSurround as well as DTS TruVolume support. All of that in a compact package that brings 100dB of distortion-free sound. The design is excruciatingly standard, and this may not tick all the boxes for people who prefer more of a statement when considering which device to let into the sacred temple of entertainment that is their living room. But for those who don’t mind such things, the sound quality is enough to render this complaint fairly small in the grand scheme of things. Entry level soundbars are a great solution for those who need better audio performance than what their TV is capable of delivering. While these models are most often bare bones in comparison to higher end stuff, they still represent a huge upgrade in terms of audio quality and volume. Right around the $200 mark is where we start seeing a much better package of features. The most important upgrade are the subwoofers, which allow you to have a complete coverage of the frequency range. On top of that, a $200 soundbar offers more power and slightly larger drivers compared to the very basic entry level models. Spending $300 on a soundbar brings you numerous upgrades compared to the lower segment of the market. Subwoofers are more or less standard while we also start seeing a higher number of drivers used per unit. Soundbars found in this category are capable of forming a decent sound stage. The $500 price range is the sweet spot of soundbar market. This is where you get to see more complex designs with wireless subwoofers and an extensive suite of built in features. Audio quality is great even by most audiophile standards. On top of that, these models are often very versatile in terms of positioning and room size. Moving into the top end segment, we see complete surround sound configurations. That means a soundbar, a wireless subwoofer and satellites – all in one package. These models bring great audio quality, higher power output and generally more refined experience. The selection of features you’ll see is rather extensive on average, making these soundbars very versatile overall. 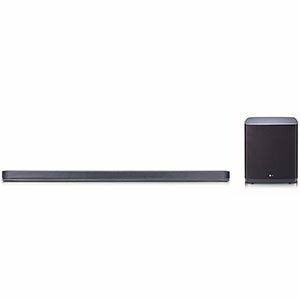 Wireless soundbars don’t necessarily offer improvements in terms of performance, but they are much more convenient to setup. A wireless soundbar will have the subwoofer as well as any available satellites, connected to the soundbar via wireless connection. This way you don’t have to worry about routing cables nor being restricted when it comes to setting up your system. 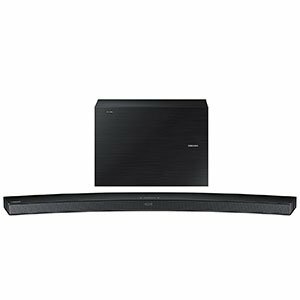 What Is The Purpose Of Soundbar Speakers? Back in the day when TVs were the size of a washing machine, audio wasn’t such a big issue. Every TV came with chunky built-in speakers that weren’t all that great, but at least they had a depth to them. Nowadays, things have changed considerably. Modern TVs are striving to be as thin as possible, which leaves very little room for decent transducers. First, you had smaller full range drivers, but that space quickly shrank down. The result is that some brands install tweeter sized speakers which are supposed to cover a very wide frequency range. As expected, the sound is anything but decent. This leads us to standalone speaker sets. Bookshelf speakers or even tower speaker cabinets were a thing for a while, but have ultimately proven to be an inefficient solution. For one, not everyone wanted to invest in audiophile grade equipment just to have decent audio on their TV. Additionally, these systems are often times massive. 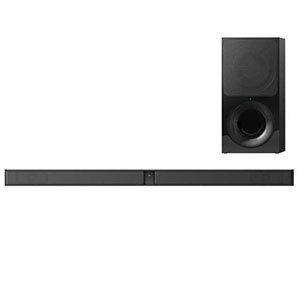 Enter soundbar speakers and home theater systems. These were designed specifically to be used as TV speakers. Having a thin, low profile soundbar is aesthetically much more attractive than standard loudspeaker configurations. On top of that, as technology evolved, soundbars became loaded with very specific features that greatly enhanced TV watching experience as a whole. To answer the question from the title up there, a soundbar is a dedicated solution for TV audio. 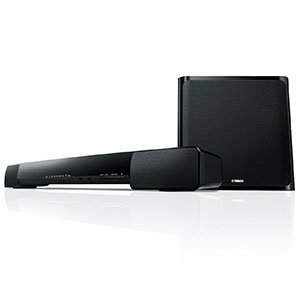 What Can Soundbars Do That Regular Speakers Can't? Having a low profile setup is not the only reason why soundbars are the best solution for TV audio. When you’re watching movies, there are several different types of sounds which need to be equalized in a specific way. Most important of those are the voices. A good soundbar will make any dialog or monolog perfectly clear. Built in TV speakers usually force you to turn up the volume just so you could hear what the characters are saying. However, doing so makes every other sound louder as well. Soundbars are often tuned to bring out a clear voice without turning up the volume of sound effects, gun shots and other loud sounds. There are several things you need to define before you go hunting for a soundbar. The best place to start is by figuring out your budget. This will narrow down your choices and leave you with a much easier decision to make. Next, you need to figure out when reading the reviews is whether you want only a soundbar, or do you need something more. Home theater systems are comprised of a single soundbar, a standalone subwoofer cabinet, and two or more satellite speakers. This type of configuration will give you a surround sound, but it usually costs a lot. Cheaper systems will oftentimes include a soundbar only or a soundbar with a subwoofer. These are most likely going to be 2.1 systems. Even though true surround sound, where you have a soundbar in front of you and satellites behind you, is the best option, stereo setups can work great as well. The configuration of transducers, or speakers, has a lot to do with this. Some models come with separate tweeters and midrange drivers in the soundbar itself, along with a standalone subwoofer. These are not true surround sound systems, but depending on the quality of speakers, they can create an illusion of a surround sound. At the end of the day, it all comes down to how much you are willing to spend. One of the most overlooked aspects of choosing a soundbar is the question of connectivity. Some soundbars come with everything from an RCA cluster, optical inputs to HDMI ports, but not all of them. Checking to see which ports are available on your TV will have a huge impact on your choice of soundbar speakers. Make sure that the models you are deciding upon are fully compatible with your TV set. One of the more recent and more popular options are soundbars with wireless subwoofers. There are several important benefits of choosing this type of soundbars, which we have covered in depth. To put it simply, not being limited by the cable allows you to fine tune the positioning of the subwoofer relative to your room. This, in turn, gives you much better acoustic results. As we have mentioned before, modern soundbar speakers are designed to optimize TV audio the best they can. That means you will have a number of features available. Features we are talking about can include various modes such as Night Mode or Voice Control, but also different types of stereo or surround sound processing. Add Bluetooth connectivity, Multiple Room usage, and things tend to get confusing real fast. The best way to approach this issue is to learn what every feature does for you and decide what you need. Narrowing down the features can impact the price of the unit, so those on a budget absolutely need to spend some time researching this. Trying to imagine the difference a soundbar speaker can make is hard if you’ve never heard one in person. Rest assured that investing in one such unit can completely change the way you experience movies and TV in general. If music is your thing, you should consider going through some record player reviews, but if you are into movies, this is the right choice. Models listed above are by far some of the best soundbar speakers you can get at the moment. Fortunately, high performance is no longer exclusive to top tier models but can be found even in affordable units. No matter which soundbar you choose from those listed above, you will get a serious performance boost.